After six hours of qualifying for the 86th 24 Hours Of Le Mans, a mighty Toyota TS050 will take first and second place on the starting grid. Toyota will be looking to take every edge it can get after a heartbreaking Le Mans last year, but its new cars are poised to dominate. Toyota Gazoo Racing’s Number 8 car secured the pole position with a best lap time of 3:15.377, while Number 7 finished a few more laps in the qualifying session but did a best of 3:17.377, exactly two seconds behind the lead car. 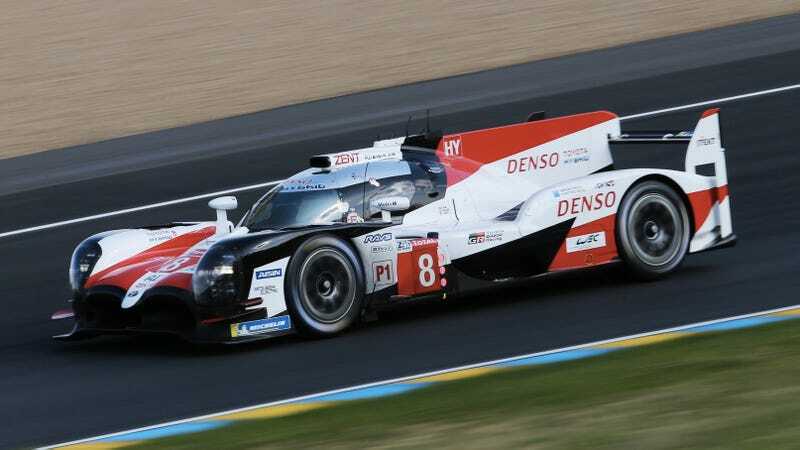 Kazuki Nakajima, who of course shares his car with Formula One pilot Fernando Alonso and former FIA champ Sébastien Buemi this year, put the Toyota at the front of the grid to start the 2018 24 Hours Of Le Mans, which goes off on June 16.